This site is located on a very small reef located between the southern end of St Crispins Reef, werst of Opal Reef and East of Rudder Reef. 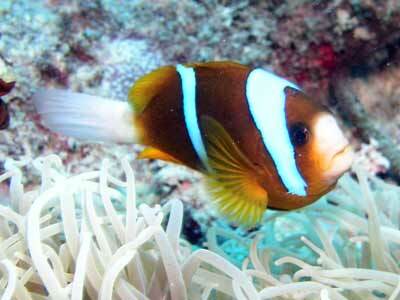 It is about 52.8 kilometres north-east of Port Douglas. The GPS Reading for this site is S16° 07' 28.0" E145° 46' 59.5" using WGS84 as datum. Please read the GPS page from the left menu if you are not familiar with datums. It is about midway between the ends of the above reefs and near some other small reefs, including one with a floating radar reflector buoy and another with a radar reflector on a tripod. The reef is maybe 50 metres by 25 metres on the top and 150 metres square on the bottom. This is not a site that is visited all that often so there is no mooring at this location so you need to anchor. Undersea Explorer anchored on the sand to the east of the main reef in about 25 metres. 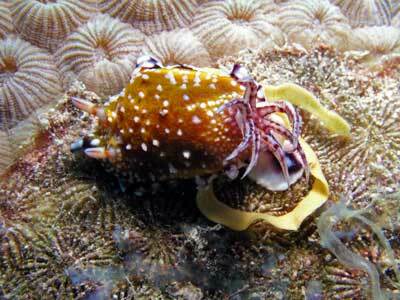 It hung back towards the reef. Once you enter the water, you drop straight down towards the sand at an angle towards the reef. 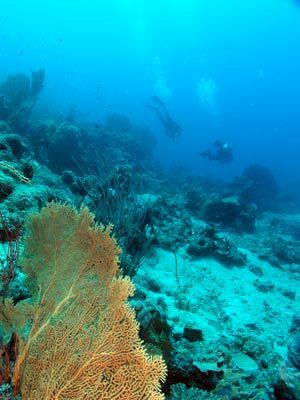 There is no need to go deeper than about 20 metres, although you could go to 25 metres on this dive if you want to. 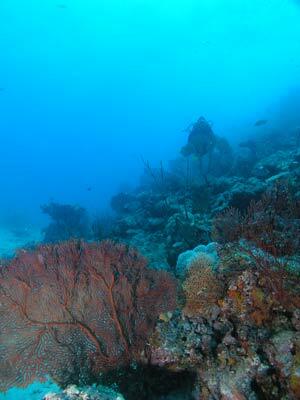 This reef is one of the best dive sites on the Great Barrier Reef, I am unsure why it is not dived all that much. 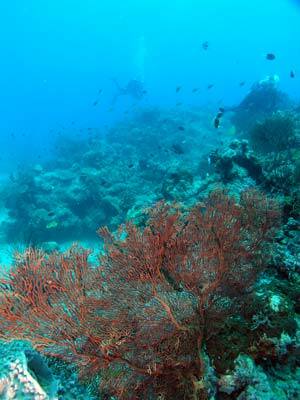 The main feature of this dive site is that there are more gorgonias here than any site I have dived on the GBR. 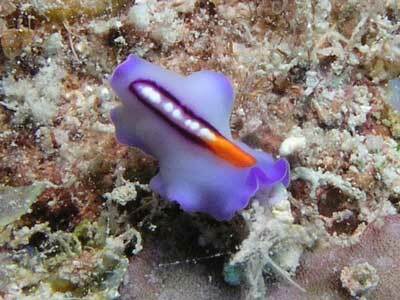 In fact, I have only dived a few other spots that have as many gorgonias as the G Spot. I assume that its name was given as an abreviation of Gorgonia Spot with the obvious double meaning the shortening provides. 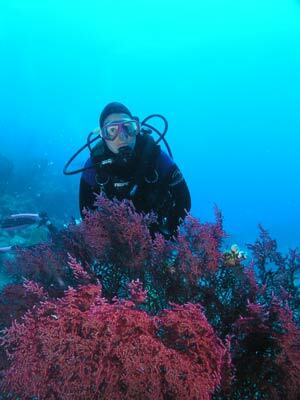 Not only are there a lot of gorgonias here, some of them are very large, almost two metres in size. 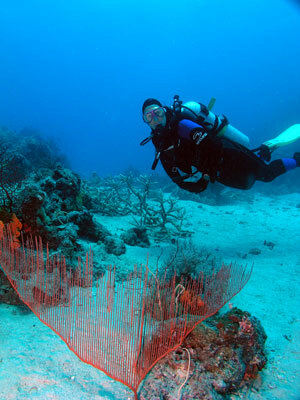 The gorgonias are mostly located on the eastern side, with the greatest concentration being in the area between 10 and 20 metres. There are many different colours, red, pink, yellow, mauve and more. You can get some great photographs, have a look at the few that I have attached to this page. As well as the gorgonias, there are lots of sea whips. These are quite large and very colourful. There are also some harp sea whips. I am not sure if this is the correct name, but look at the attached photograph and you will see that this is an accurate name for them.